Artgus Studio inc is a Canadian importer and exporter of fibres, textile products, fabric, yarns, tools and equipment from around the world. Our business started in 2012. We sells to stores, artisans, and designers who use fibers in felting spinning and weaving and only wholesale. We distribute these products anywhere in the world. The owners are Nathalie Ethier and her husband Ken Hutchison. 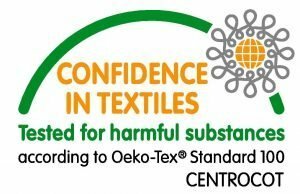 All of our products are Oeko-tex certified and have organic based dyes. We import 14 micron merino, 16 and 19 micron merino wool tops that can be used for wet and dry felting and spinning. We have about 200 colors. Our business imports 18 micron carded merino wool batts in 80 colors, blends of corriedale and coopworth wools called maori. This product is perfect for needdle felting and surface 3D. 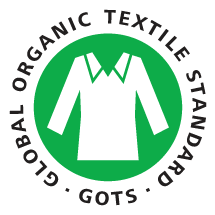 We have Bergschaft, vegetable fibers like hemp, linen cotton, rose fiber, bamboo and banana top and banana silk (rayon) in 80 colors, tussah, eri, muga, and mulberry silk, silk cocoons, silk rods sari silk fibres. Nath is an experienced art teacher with a bachelors of arts. She has worked for the Ministry of Education for Quebec Canada on the arts program at the highschool level. Nath gives and attends classes on felting and also technical assistance because of her knowledge of arts, felting and materials used. She travels around the country to show the fibres and give felting classes. Ken is a former Canada customs officer and is presently an ESL teacher at the high school level. He works on the website, does custom clearance, the import paperwork, invoices and accounting. This website is a portrait of some of the products we sell across Canada and the USA. We are a growing companie and we will be expanding to include yarns and industrial felt this year. You can reach us by e-mail info@artgusstudio.com or by phone 514-977-7987. We only have an online store, Orders can be made on our e-mail, by phone. Nath travels around the country to show our fibres and give felting classes. Hope to see you or hear from you soon. This entry was posted in Felting and Spinning, Merino wool 19 micron and tagged Artgus_studio, Canadian distributor DHG, Canadian distributor H. Dupont, carded silk sheets, Cernit argile polymere, Cernit polymer clay, Clover needle craft, DHG, Distributeur Canadien H. Dupont, distributeur de laine merino a feutrer, Encre, eri silk, Eucalan soap, felting tools, H. Dupont, laine a feutrer, laine merino extrafine meche, materiel scolaire laine a feutrer, Merino extrafine 19 micron wool, merino extrafine slivers, muga silk, mulberry silk, Nathalie_Ethier, nuno felting supply, Peinture acrylique, Peinture pour soie et laine, perfelt, perfelt 120 gr/meter, Pre-felt DHG, prefelt 125 gr/m, prefelt 125 gr/m wholesale, prefelt 140 gr/m, prefelt 150 cm, prefelt 50 colours, prefelt 80/20 merino silk, prefelt merino 150 cm, prefelt merino 19 mi., prefelt merino/silk, prefelt wholesale, pulled silk fiber, sary silk fibre, sary silk ribbon multi, sary silk solid colour fuzzy, sary silk yarn, Silk and wool paint, silk laps, Silk paint, throwster silk, tussar silk. Bookmark the permalink. Merci Nathalie pour le fructueux avant-midi passé en ta compagnie. Tu as démystifié ma machine Embellisher, tu m’as donné une foule de trucs et techniques, tu as été généreuse et de ton temps et de tes explications et tu as suscité dans mon imagination plein de projets. J’ai encore beaucoup à apprendre et je sais que je peux me fier sur toi pour m’aider. Mille mercis et à bientôt. Bonjour à toi, je tricote des pantoufles que je feutre par la suite dans la laveuse à linge, j’utilise de la laine 100% vendu en boutique, est-ce que tu as quelques choses à me proposer comme laine. Merci. J’ai parler avec Louise Brissette ce week end et elle te recommande!